So last year, I was at pub trivia night in Brooklyn and one of the questions was: Name all four members of the band, The Black Eyed Peas. Ok… well Fergie, obviously. Um, Will.i.am. Alright, we got this. Uh, gosh what’s his name… the one with the, you know, I…… and that’s as far as we got. Because NOBODY could remember what the other two even looked like. Answer: Fergie, Will.i.am… Taboo and apl.de.ap. Ohhhhhh… yah, I totally didn’t know that. 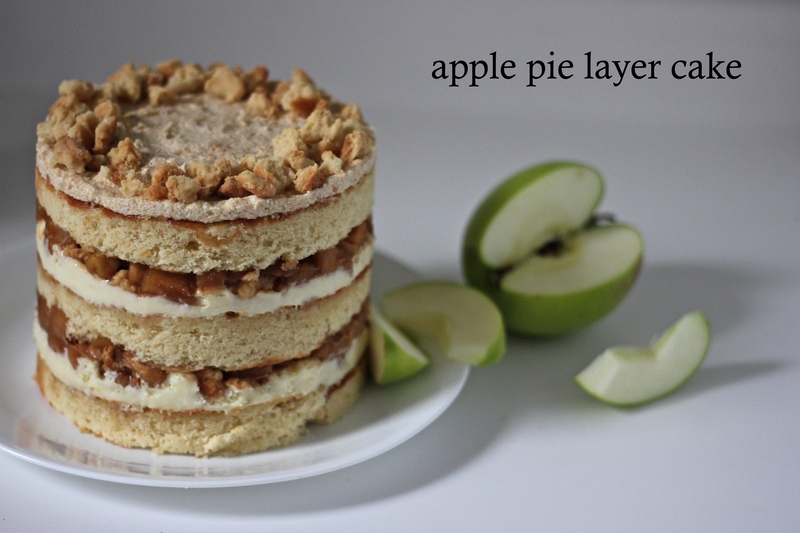 What I do know is that it makes for a nice segue into this apple-de-app dessert, Apple Pie Layer Cake aka Momofuku Milk Bar Exam no.3! no.1 was cookies, no.2 pie, and now CAKE. But Momofuku Milk Bar cakes are unlike any other cake I’ve ever seen or made. Christina Tosi is like the Betty Crocker of the future, so of course her cakes are assembled in a cake ring, wrapped in acetate sheets, and presented with their sides unfrosted. Although I usually like a perfectly frosted cake, I’m marveled by this presentation. It reminds me of a trifle in which you see each layer of the individual components of the dessert. But let me tell you, I had a bit of a doozy tracking down the equipment. 6-inch cake ring: Ok, I just bought this one off Amazon so not that hard. acetate sheets: ??? You’d think in a city like New York, I’d have no problem finding them but when I went to Michael’s they told me to try Staples. I went to Staples and they said ‘maybe Michael’s?’ Needless to say, I Amazon-ed these last minute as well and was biting my nails with worry, afraid that they wouldn’t arrive in time for me to make this cake for my friend Emily’s birthday. But they did and I sighed in relief and I made this cake and my friends all ate it. All’s well that ends… with cake. So word of advice, if you’re planning on making any Momofuku Milk Bar cake, make sure you locate all the necessary parts at least a week before you need them. Now, I’m not gonna lie. There’s a lot of parts to this cake. Just make sure you have everything prepared and stay really organized (the finished cake has to freeze for 12 hours before being served, so it’s not a last minute dessert). I always say I’m not a chocolate person but the fact is… of course I am. Who am I kidding. Chocolate is great. Chocolate AND Mint is fantastic. 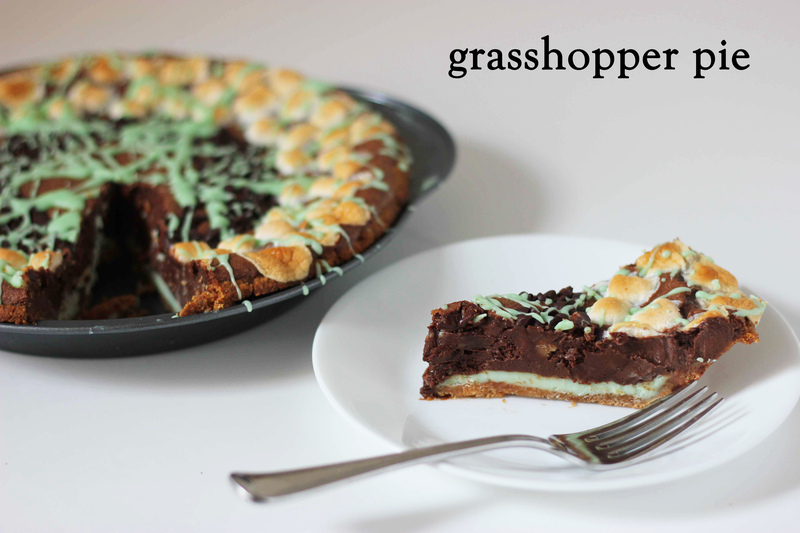 So I’m not sure why I was hesitant to make this Grasshopper Pie but I was. It’s just not something I usually jump to make when I’m in a baking mood or crave at night during my ladytimes. But that’s the beauty of this wonderful endeavor I’ve decided to take on. I get to learn on a constant basis that I have no idea what’s good for me. Make this pie NOW. Especially since today is Galentine’s Day. Celebrate ladytimes! Anytime you start with a graham cracker crust you can’t go wrong. Add a mint cheesecake and brownie layer and… I’m just preaching to the choir here, right? Despite the fact that this pie requires a few separate components, it was actually pretty easy to put together. 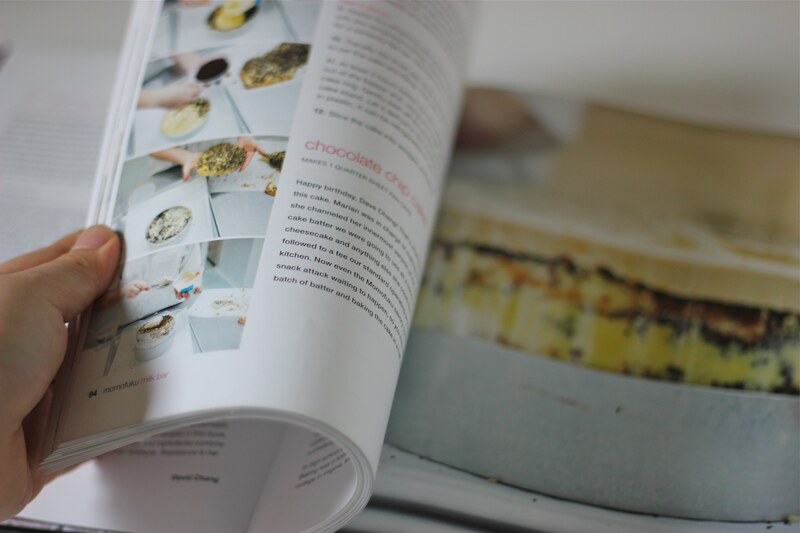 And as I’ve found with most of Christina Tosi’s recipes, really fun! Serve cold, frozen is even better. (1) Heat the oven to 350°F. 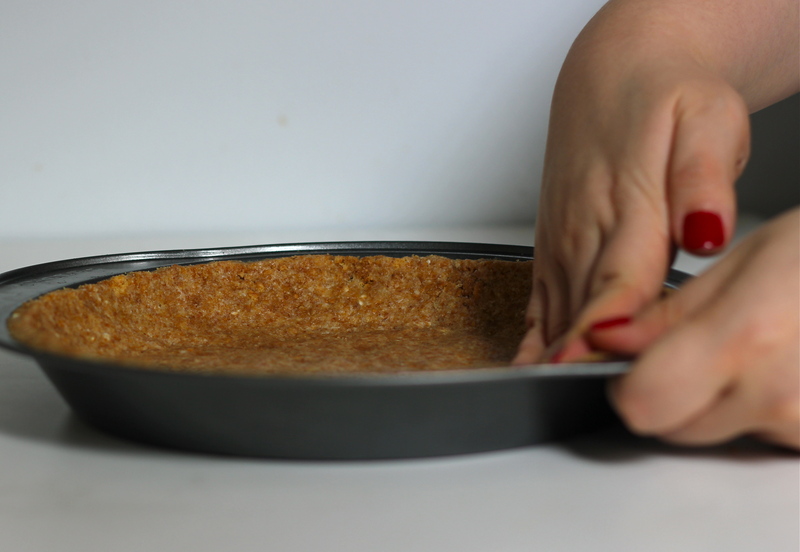 (2) Grab a sheet pan and put your pie tin of graham crust on it. Pour the mint cheesecake filling into the shell. Pour the brownie batter on top of it. Use the tip of a knife to swirl the batter and mint filling, teasing up streaks of the mint filling so they show through the brownie batter [I wanted to keep the layers separate so I didn’t do this]. (3) Sprinkle the mini chocolate chips into a small ring in the center of the pie, leaving the bull’s-eye center empty [I literally made a bull’s eye in the center of the pie, using a ½ measuring cup]. Sprinkle the mini marshmallows into a ring around the ring of chocolate chips. (4) Bake the pie for 25 minutes. It should puff slightly on the edges but still be jiggly in the center. 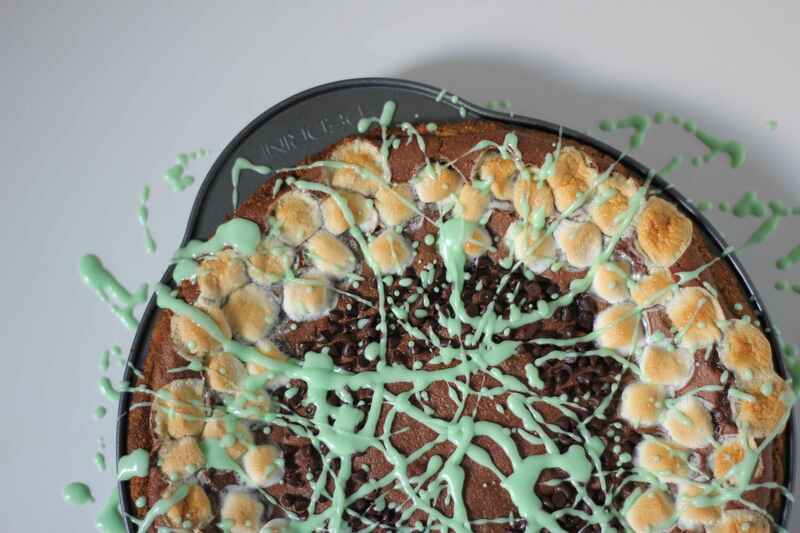 The mini chocolate chips will look as if they are beginning to melt, and the mini marshmallows should be evenly tanned. Leave the pie in the oven for an additional 3 to 4 minutes if this is not the case. (6) Now the pie needs to be Jackson-Pollocked with mint glaze. Make sure your glaze is still warm to the touch. Dunk the tines of a fork [I found a small spoon to work better] into the warm glaze, then dangle the fork about 1 inch above the bull’s-eye center of the pie. (7) Transfer the pie to the fridge [freezer is better] so the mint glaze firms up before serving—which will happen as soon as it’s cold, about 15 minutes. Wrapped in plastic, the pie will keep fresh in the fridge for up to 1 week or in the freezer for up to 2 weeks. (2) Dump 210g (1¼ cups) graham crust into a 10-inch pie tine and set the remaining 45g (¼ cup) to the side. With your fingers and the palms of your hands, press the crust firmly into the pie tin, covering the bottom and sides of the pan completely. Wrapped in plastic, the crust can be refrigerated or frozen for up to 2 weeks. 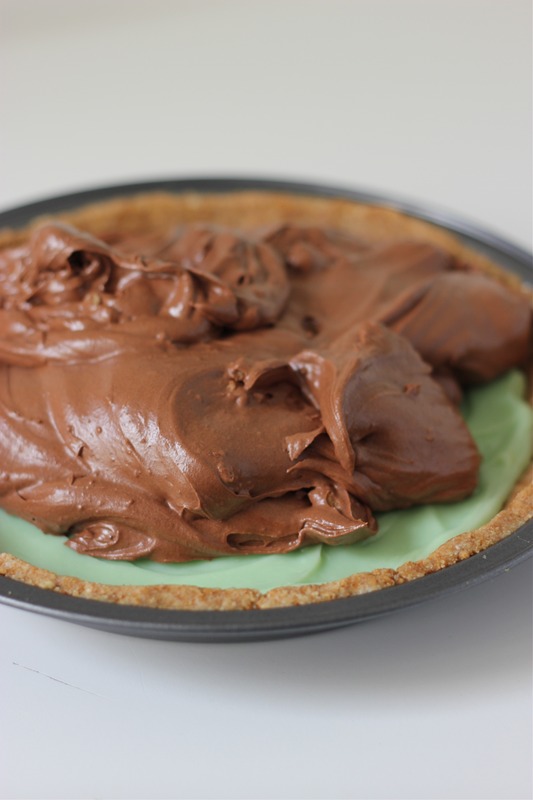 (3) Combine the chocolate and butter in a microwave-safe bowl and gently melt them together on low for 30 to 50 seconds. Use a heatproof spatula to stir them together, working until the mixture is glossy and smooth. (4) Combine the eggs and sugar in the bowl of a stand mixer fitted with the whisk attachment and whip together on high for 3 to 4 minutes, until the mixture is fluffy and pale yellow and has reached the ribbon state. (Detach your whisk, dunk it into the whipped eggs, and wave it back and forth like a pendulum: the mixture should form a thickened silky ribbon that falls and then disappears into the batter.) If the mixture does not form ribbons, continue whipping on high as needed. (5) Replace the whisk with the paddle attachment. Dump the chocolate mixture into the eggs and briefly mix together on low, then increase the speed to medium and paddle the mixture for 1 minute, or until it is brown and completely homogenous If there are any dark streaks of chocolate, paddle for a few seconds longer, or as needed. Scrape down the sides of the bowl. (6) Add the flour, cocoa powder, and salt and paddle on low speed for 45 to 60 seconds. There should be no clumps of dry ingredients. If there are any lumps, mix for an additional 30 seconds. Scrape down the sides of the bowl. (7) Stream in the heavy cream on low speed, mixing for 30 to 45 seconds, just until the batter has loosened up a little and the white streaks of cream are fully mixed in. Scrape down the sides of the bowl. (9) Grab a sheet pan and put your pit tine of graham crust on it. With a spatula, scrape the brownie batter into the graham shell. Bake for 25 minutes. The pie should puff slightly on the sides and develop a sugary crust on top. 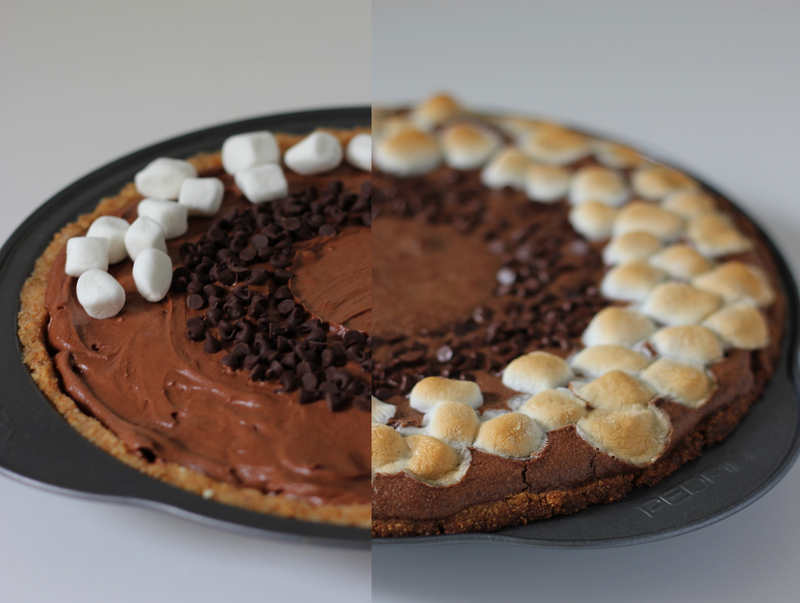 If the brownie pie is still liquid in the center and has not formed a crust, bake it for an additional 5 minutes or so. (10) Cool the pie on a rack. (You can speed up the cooling process by carefully transferring the pie to the fridge or freezer directly out of the oven if you’re in a hurry.) Wrapped in plastic, the pie will keep fresh in the fridge for up to 1 week or in the freezer for up to 2 weeks. (1) Toss the graham crumbs, milk powder, sugar, and salt with your hands in a medium bowl to evenly distribute your dry ingredients. (2) Whisk the butter and heavy cream together. Add to the dry ingredients and toss again to evenly distribute. The butter will act as a glue, adhering to the dry ingredients and turning the mixture into a bunch of small clusters. The mixture should hold its shape if squeezed tightly in the palm of your hand. If it is not moist enough to do so, melt an additional 14 to 25 g (1 to 1½ tablespoons) butter and mix it in. (3) Eat immediately, or deploy as directed in a recipe. The crust is easiest to mold just after mixing. Stored in an airtight container, graham crust will keep fresh for 1 week at room temperature or for 1 month in the fridge or freezer. (1) Combine the white chocolate and oil in a microwave-safe dish and gently melt the mixture on low for 30 to 50 seconds. 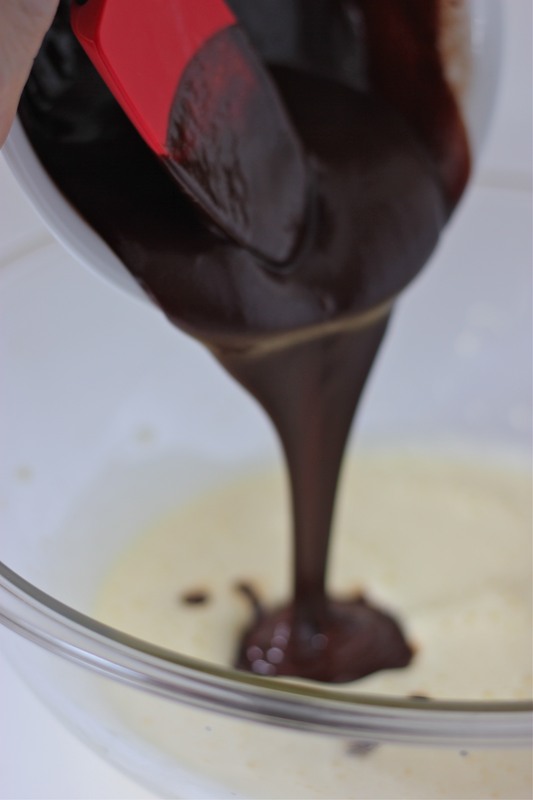 Use a heatproof spatula to stir the chocolate and oil together, working until the mixture is glossy and smooth. (2) Combine the cream cheese and confectioners’ sugar in the bowl of a stand mixer fitted with the paddle attachment and stir together on medium-low speed for 2 to 3 minutes to blend. Scrape down the sides of the bowl. (3) On low speed, slowly stream in the white chocolate mixture. Mix for 1 to 2 minutes, until it is fully incorporated into the cream cheese. Scrape down the sides of the bowl. (4) Add the peppermint extract, salt, and food coloring and paddle the mixture for 1 to 2 minutes, or just until it is smooth and leprechaun green [I kept mine more minty green]. (You may need to scrape the bowl down once midmixing.) No point in making ahead—you don’t have any use for it otherwise and it will make it trickier to swirl in later. (1) Combine the white chocolate and oil in a microwave-safe dish and melt the chocolate on low for 20 to 30 seconds. Use a heatproof spatula to stir the oil and chocolate together, working until the mixture is glossy and smooth. (2) Stir in the peppermint extract and food coloring. This cookie was actually the first item I ever tried at Momofuku Milk Bar (thus starting this obsession). 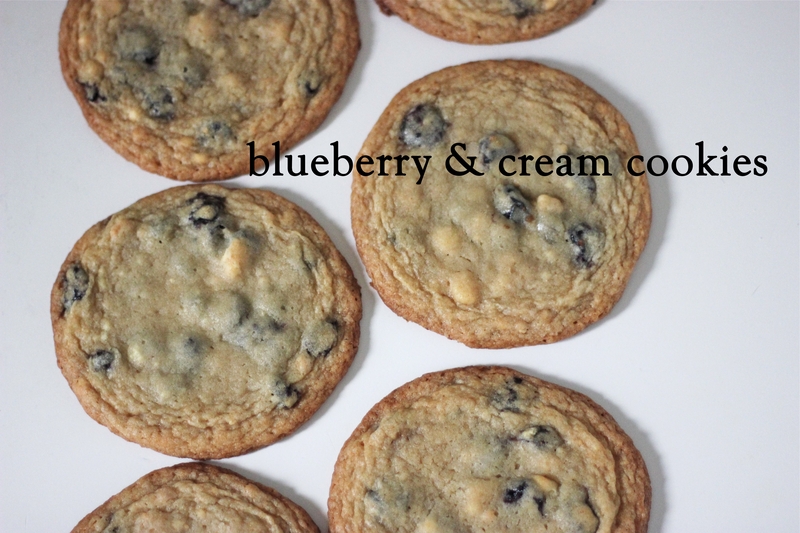 For a place known for its eccentric Crack Pie® and Bagel Bombs, these blueberry & cream cookies look deceptively simple. Ohhh but think again! 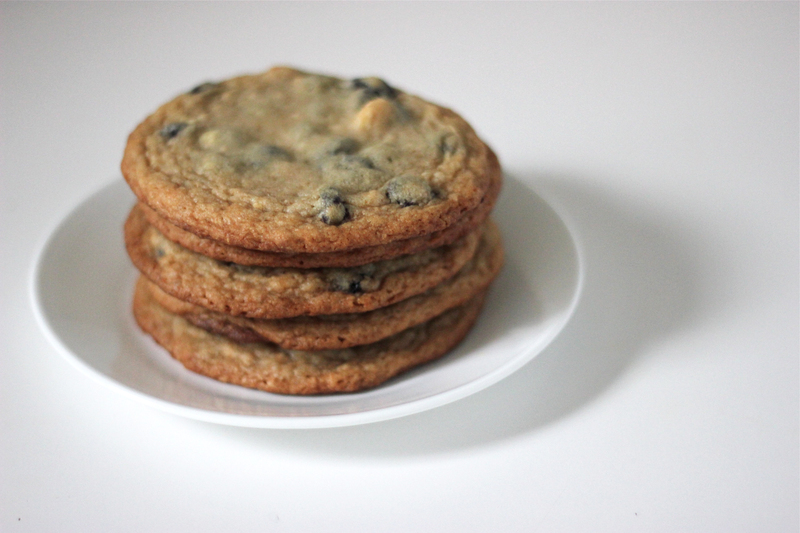 Imagine a chewy, buttery cookie dotted with blueberries and white chocolate and multiply those flavors by 1000! You’re gonna love this cookie. The thing I really appreciate about the Momofuku Milk Bar cookbook and Christina Tosi is that she’s very clear with her directions as well as the specificity of her ingredients. I’m a recipe/cookbook connoisseur and I hate when chefs leave out the specifics– Tosi keeps no secrets. She’s very direct in the intro pages about EXACTLY what brands she uses for her butter, flour, sugar, chocolate, fruits, etc. which is a tremendous help to an obsessive nit-picker like myself. I’m going to try my darnest to listen to her suggestions and adhere as closely as possible to each recipe. My new motto is: What Tosi Wants, Tosi Gets. She would probably be mortified and slightly disturbed by my cult-ish devotion but I’ve tasted her Kool-Aid (cookies) and I’m just not going back! What makes these cookies stand out are a handful of key changes. Since this was my first Momofuku Milk Bar endeavor for y’all, I was a bit nervous. Milk crumbs? Glucose? I’ve never baked with these ingredients before. But it all makes sense. The milk crumbs (a combination of mostly butter, milk powder, and white chocolate) give the cookies an additional oomph in the creamy, milky department. And the addition of glucose (which I previously only associated with my dreaded year of organic chemistry) is now my new best friend and the secret to what keeps these cookies nice and chewy. Most of my ingredients I procured at either Trader Joe’s, Fairway, or Whole Foods, but the glucose I actually purchased at Michael’s. The directions say that corn syrup can be substituted for the glucose but speaking from experience now, I can say that glucose is WAY stickier and less sweet than corn syrup (and thus probably produces a better chewier texture). 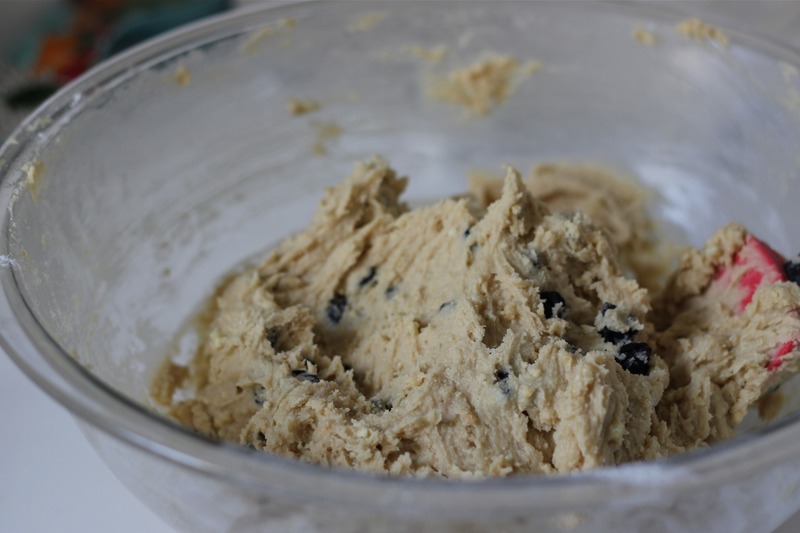 As hard as it is, resist from eating all the cookie dough before baking. Or eat half then bake half. Compromise. 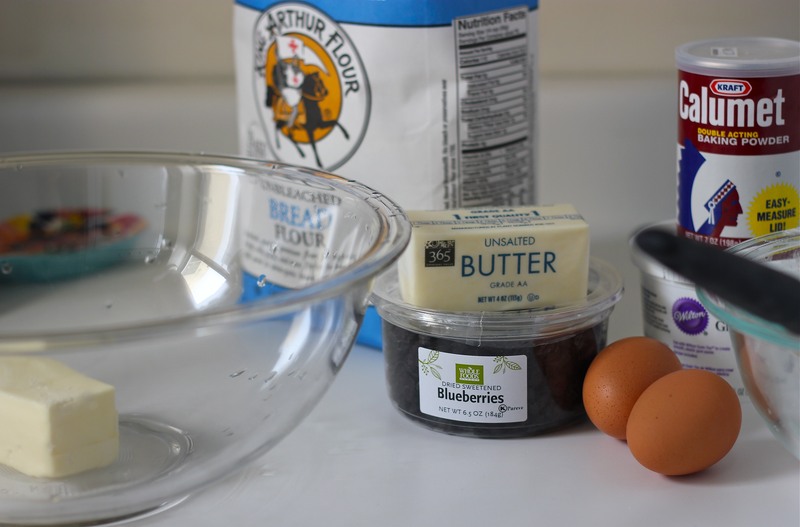 (1) Combine the butter, sugars, and glucose in the bowl of a stand mixer fitted with the paddle attachment and cream on medium-high for 2 to 3 minutes. Scrape down the sides of the bowl, add the eggs, and beat for 7 to 8 minutes. 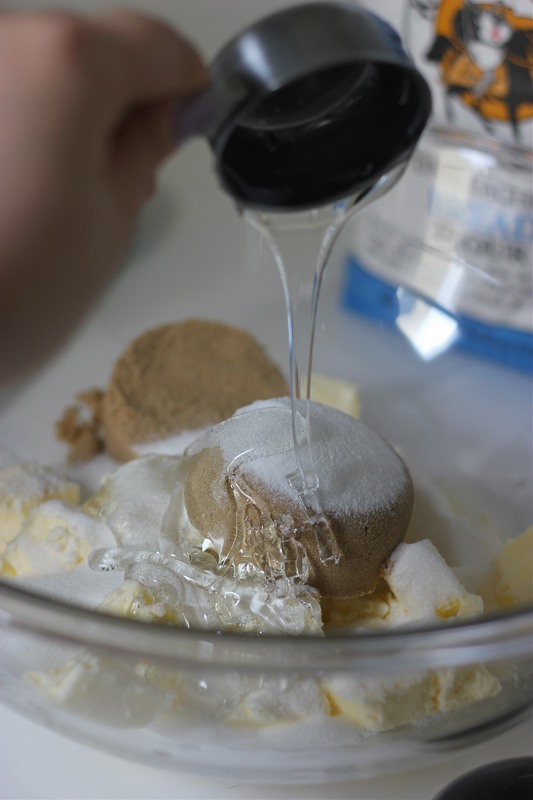 (2) Reduce the mixer speed to low and add the flour, baking powder, baking soda, and salt. Mix just until the dough comes together, no longer than 1 minute. (Do not walk away from the machine during this step, or you will risk overmixing the dough.) Scrape down the sides of the bowl with a spatula. (3) Still on low speed, add the milk crumbs and mix until they’re incorporated, no more than 30 seconds. Chase the milk crumbs with the dried blueberries, mixing them in for 30 seconds. (4) Using a 2 ¾-ounce ice cream scoop (or a ⅓-cup measure), portion out the dough onto a parchment-lined sheet pan. Pat the tops of the cookie dough domes flat. Wrap the sheet pan tightly in plastic wrap and refrigerate for at least 1 hour [I did overnight], or up to 1 week. Do not bake your cookies from room temperature—they will not bake properly. (5) Heat the oven to 350° F.
(6) Arrange the chilled dough a minimum of 4 inches apart on parchment- or Silpat-lined sheet pans. Bake for 18 minutes [Mine were done at 15-16 minutes, don’t overbake!]. The cookies will puff, crackle, and spread. After 18 minutes, they should be very faintly browned on the edges yet still bright yellow in the center; give them an extra minute or so if that’s not the case. (7) Cool the cookies completely on the sheet pans before transferring to a plate or to an airtight container for storage. At room temp, the cookies will keep fresh for 5 days; in the freezer, they will keep for 1 month. (1) Heat the oven to 250° F.
(2) Combine the 20g (¼ cup) milk powder, the flour, cornstarch, sugar, and salt in a medium bowl. Toss with your hands to mix. Add the melted buter and toss, using a spatula, until the mixture starts to come together and form small clusters. (3) Spread the clusters on a parchment- or Silpat-lined sheet pan and bake for 20 minutes. The crumbs should be sandy at that point, and your kitchen should smell like buttery heaven. Cool the crumbs completely. 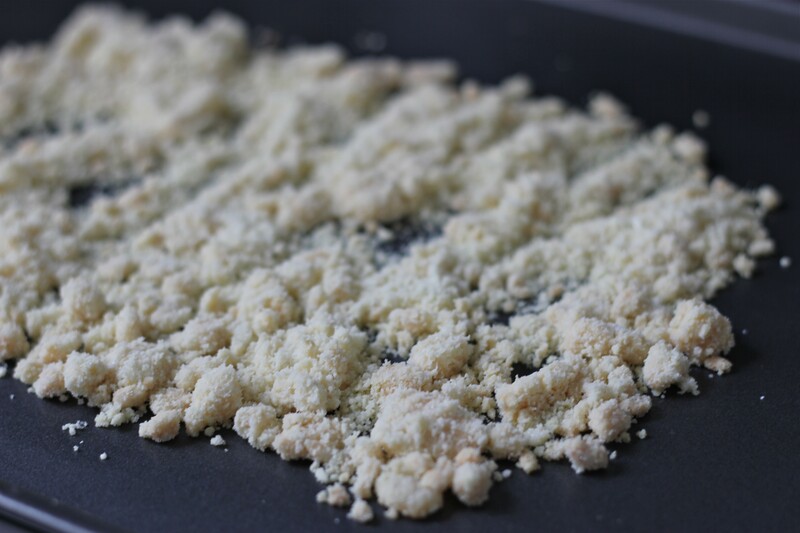 (4) Crumble any milk crumb clusters that are larger than ½ inch in diameter and put the crumbs in a medium bowl. Add the 10 g (2 tablespoons) milk powder and toss together until it is evenly distributed throughout the mixtures. (5) Pour the white chocolate over the crumbs and toss until your clusters are enrobed. Then continue tossing them every 5 minutes until the white chocolate hardens and the clusters are no longer sticky. 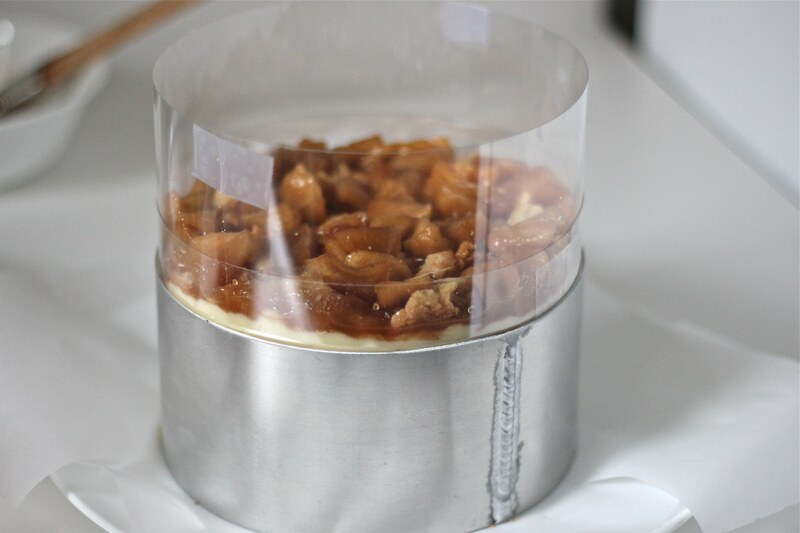 The crumbs will keep in an airtight container in the fridge or freezer for up to 1 month. So, I’ve been lying awake at night thinking about this blog… what direction to take it, how to keep my DOZENS of (or one dozen) followers interested, what fulfillment this blog is still giving me… I’m sure you lie awake wondering the same thing. The truth is, I’ve felt a little uninspired. There are so many amazing, beautiful, creative blogs out there that I kinda felt like, what’s the point? Well, I realized the point is… I don’t know what the point is. All I know is that I enjoy posting about things I make and see and do and hopefully other people enjoy this little corner I occupy in the blogosphere. Which is why I’ve decided to take inspiration into my own hands and create a project for myself. 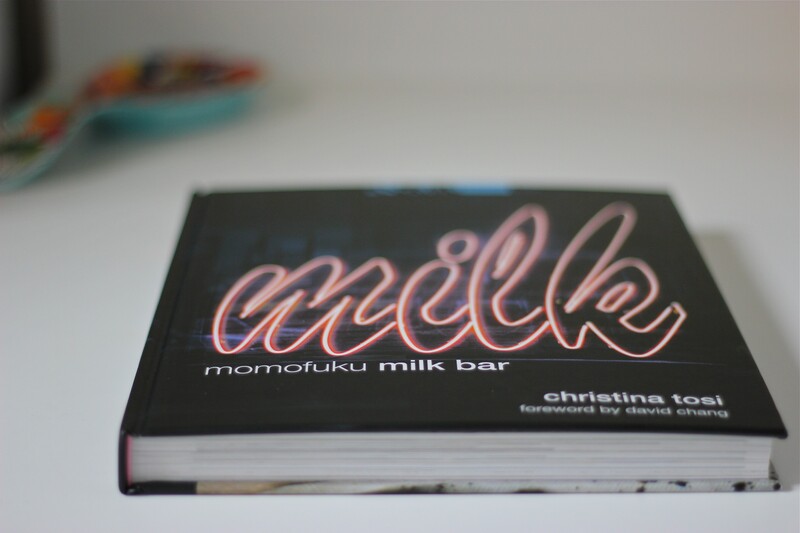 Titled My Momofuku Milk Bar Exam, it will be a series of 26 recipes that I’ve chosen to make and share from the Momofuku Milk Bar cookbook! My brother Ben got me this incredible cookbook for Christmas and it has only heightened my obsession with Christina Tosi. 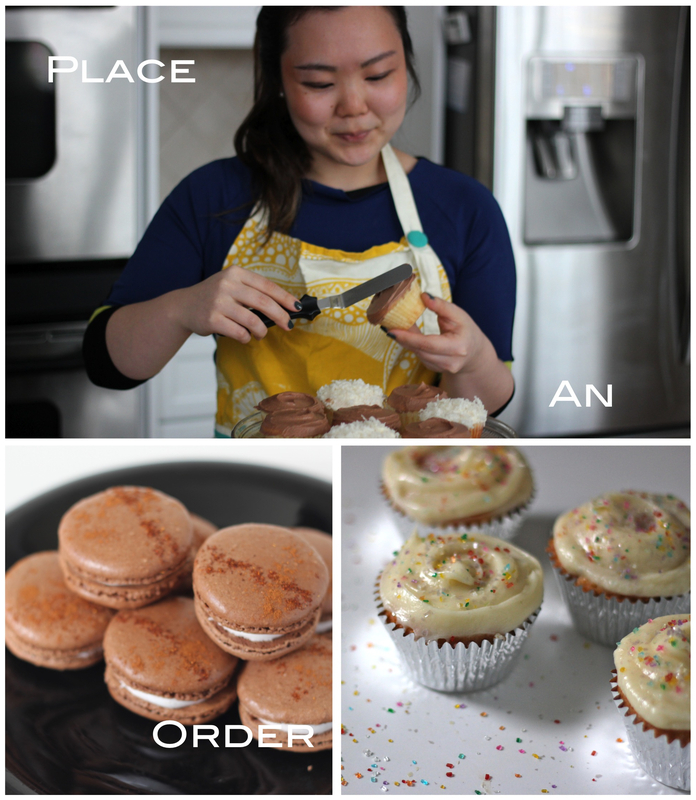 I had first set lofty goals to make the ENTIRE cookbook à la Julie & Julia… but decided to condense the 128 recipes to a more manageable 26 (the age I will be when this project is hopefully done). So far I don’t have half the equipment that is required, i.e. stand mixer, ice cream machine, acetate sheets, cake ring… but I have a whisk! And a dedication to create something that will hopefully bring inspiration to you as well. Wish me luck! 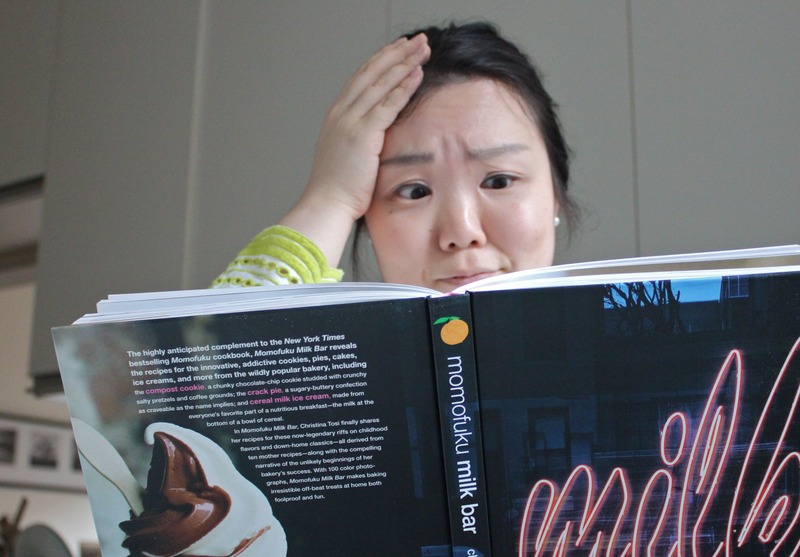 Momofuku Milk Bar Exam no. 1 coming soon… stay tuned. also, please wish a Happy Birthday to my friend Maxine! some people say you hit a quarter-life crisis at 25, but I’m obviously doing fine.